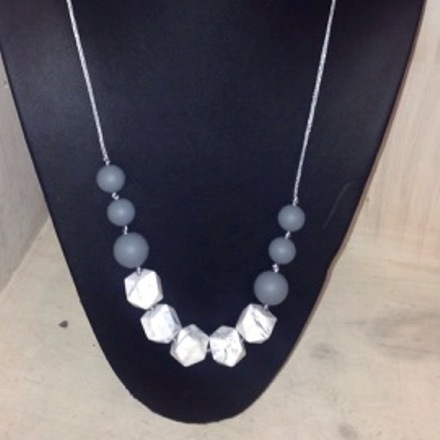 Silicone Necklace for Mum to wear, safe for little hands and teeth to explore. Necklace is made with a breakaway clasp so when tugged on it will snap open. Made from BPA free non toxic food grade silicone it is also Phthalates, PVC, cadmium & lead free. Easily cleaned in warm soapy water or in the top rack of the dishwasher. 80cm in length, this can easily be shortenend.